34 seasons of Survivor and 29 seasons of The Amazing Race. WHAT?!? Honestly, I don’t know how I’ve gone this long without stumbling upon this treasure trove. My introduction to reality tv began in the late 90’s with Road Rules…and I’ve loved it ever since. I would say it’s one of my top guilty pleasures…but I honestly don’t feel that guilty about it. What about YOU? Do you watch reality tv? and, weirdly enough, one of my favorite things about living in Ireland in the early aughts was the DOPE reality tv. *shrugs* What can I say? I like what I like! 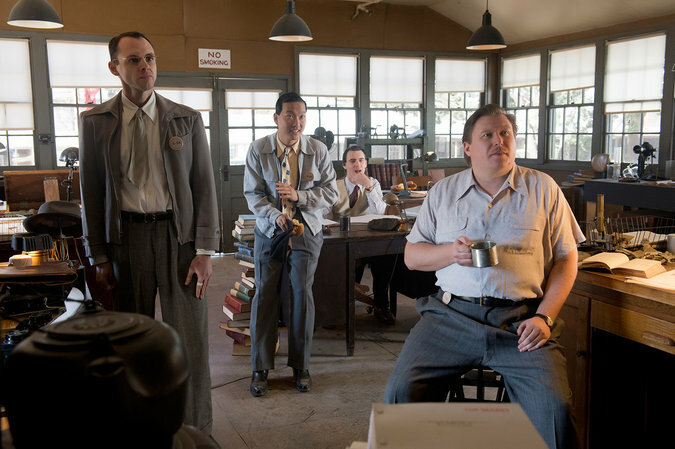 Have you seen this fantastic tv drama about The Manhattan Project? It aired over the summer on WGN but I just plowed through the whole first season on Hulu. I would HIGHLY recommend it. Mad Men-ish. Lost-ish. House of Cards-ish. I can’t believe I had never heard of it until a commercial for it popped up while I was watching something else on Hulu. I seriously think it’s one of the best written and acted series I’ve seen in awhile. So glad they just announced it got picked up for a second season!